President John F. Kennedy signed the Equal Pay Act into law in 1963, making it illegal to pay women lower wages because of their gender. 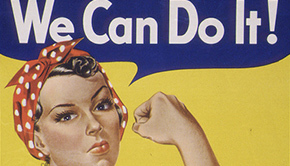 Yet, fifty years later, statistics confirm that the wage gap persists. According to “The Status of Women & Girls in Colorado," a new research project from The Women’s Foundation of Colorado and the Institute for Women’s Policy Research, women account for nearly half of all workers in Colorado, and nearly two-thirds of women in the state are in the workforce. Women working full-time and year-round had median annual earnings that were 80 percent of men’s full-time, year-round earnings. 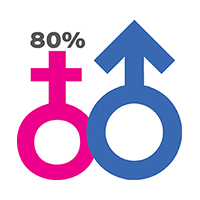 The gender wage gap is largest between women and men with a bachelor’s degree or higher. Colorado Women's College recently released a groundbreaking study evaluating women in leadership positions. The study, Benchmarking Women's Leadership in the Untied States, marks the first time that women in leadership roles across 14 for- and not-for-profit sectors were examined. Results revealed that women are outperforming men, but they are not earning salaries or obtaining leadership roles commensurate with their higher levels of performance. Check it out here. 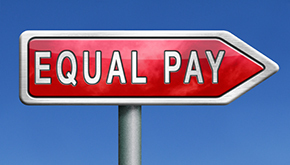 Our thanks to the Colorado Pay Equity Commission (CPEC) for their leadership on this pressing issue. 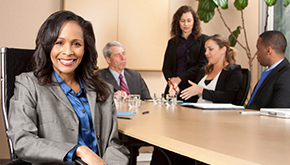 Established by the State Legislature, the CPEC is charged with educating employees and employers about issues or practices that may contribute to pay inequities; working with business groups and educational institutions to develop and maintain an inventory of best practices and developing a program recognizing employers who pursue pay equity practices. Learn more by contacting Nancy Reichman, Chair Colorado Pay Equity Commission at nancy.reichman@du.edu. Many employers across our state are recognizing the gaps and are committed to overcoming them. One positive example is Colorado State University in Fort Collins. The largest employer in the region, CSU recently launched The Ripple Effect to engage the strengths and talents of women to build an exceptional CSU community. Led by the CSU administration, the public university has embarked on a unique initiative to ensure equity for administrative faculty, professional and classified staff, as well as a host of other related projects. All of these activities are intended to help CSU leaders and administrators understand what the university does well and where they can improve on their goal to be an employer of choice for women. Tell us how you or your employer is committed to making positive change here! Amy Parsons, Vice President for University Operations at Colorado State University, discusses The Ripple Effect, which helps to foster equality for women to work and learn on the CSU campus.